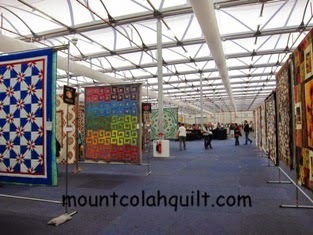 Today was a lovely sunny Sunday, the last day of 2014 Sydney Quilt Show. My Sunshine and I made it there, to Glebe Island, where the Show was held. It was a fun 'mother and son' day out. 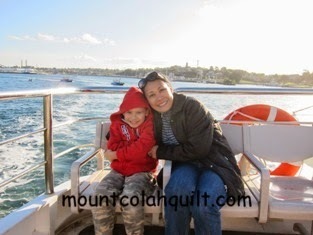 :-) We enjoyed the ferry rides from and to Darling Harbour.... 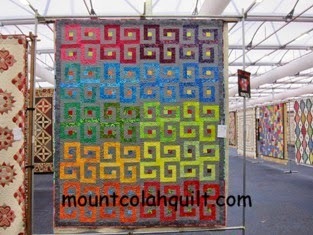 I missed seeing my quilt at the Show when I first entered it back in 2011 as I was away in France. So, I try to be there to see my quilt when I'm home. 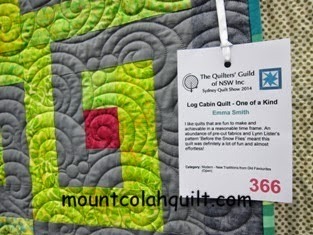 I was very pleased to see my quilt hung at the Show this year.